Cape Comorin is popularly known as Kanyakumari and it is situated at the southernmost tip of India. This is a place of high religious importance but from a travel perspective, you’ll be surprised to find much more than you expected. The Cape is the meeting point between the Arabian Sea, the Indian Ocean, and the Bay of Bengal, and is separated from Sri Lanka by the Gulf of Mannar. There are mainly two ways to reach Kanyakumari or Cape Comorin, which is situated in the state of Tamil Nadu: you can take a flight from Delhi or Mumbai or you can travel by train through the green landscape and rolling hills of the Western Ghats and then cross through Tamil Nadu to reach the place that Indians call their “lands end”. But be forewarned that the train journey could scratch to as long as 51 hours compared to a much shorter 3 hours flight. The top tourist attractions in and around Kanyakumari is varied and will suit all tastes. The adventurous trekkers would enjoy a trip to the Tirparappu Waterfalls and the Mathoor Hanging Bridge. Those looking for a day of relaxation can head to Muttom Beach, a mere 32km away. There are also various temples, churches and museums bound to captivate your imagination. 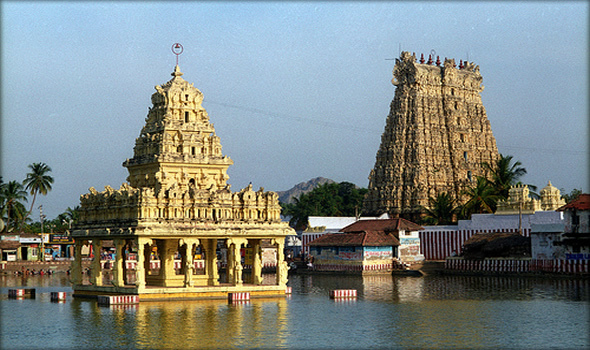 The Suchindram Temple is one of its kinds, a beautiful Hindu temple dating way back to the 17th century. The three main deities of Hindu religion (Shiva, Vishnu, and Brahma) are represented through just one image placed in the inner sanctum called Sthanumalayan. It is situated 11km from Cape and the priest of the temple would gladly give you a tour. The temple boasts exquisite architecture and sculpture, a perfect place to discover your inner spirituality. 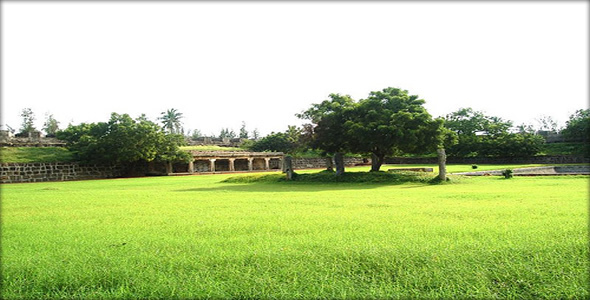 Vattakottai Fort, around 7km away from the Cape, is a beautiful picnic spot popular with the locals. There is an elevated level on the Fort with well-manicured gardens from where I could see the blue waters of the sea merging into the deep blue sky. Sitting there was a pleasant experience as the cool wind kissed my face and I enjoyed a hearty lunch. There is a natural beach nearby where you can relax and have a tan or even go for a swim. 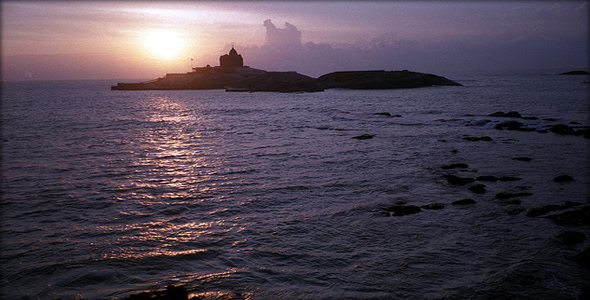 The Vivekananda Rock Memorial, one of the most famous monument in Kanyakumari, is a popular tourist destination. This memorial rock is dedicated to Swami Vivekananda, one of the greatest spiritual teachers of India in the 20th century. According to legend, this was where he had gone into deep meditation and saw the past, present, and future of India. It was also the place where he achieved salvation and his soul left his body at the age of 39 while he was deep in meditation. From the Cape, you can hire a boat to get to the Memorial Rock. During sunset, the Memorial Rock is always jam-packed with tourists trying to get the best vantage point form which to enjoy and capture the sunset. The best time to visit Kanyakumari is from November to March, the time of the returning monsoons. The weather will neither be hot or humid and most of the days will be partly cloudy with cool wind. Cape Comorin is a popular destination for local domestic tourists on a one day trip, but I urge you to spend a little more time here and enjoy the serene beauty of India’s southern-most tip!